As an outdoor enthusiast, you're always on the lookout for new ways to experience what nature has to offer. Sure, a day in the park with a basketball or baseball is fun, but how can you take your passion for the outdoors to the next level? Look no further. Here are some outdoor sports that will fulfill your outdoor dreams. For many people, getting up close and personal with ice means sipping on a cold, refreshing beverage. But as any experienced or even novice outdoors enthusiast will tell you, spending hours or days with your face flat against the side of a glacier or frozen waterfall offers an unprecedented rush. Now, this sport is technical and dangerous, and anyone who attempts it should take classes before climbing up a steep mountainside. Additionally, there is a variety of gear you'll need if this sport scratches your outdoor itch. A rock climbing harness, ropes, ice axes, mountaineering boots and crampons will set you up for success. But, as an extreme sport that requires cold temperatures, you'll need plenty of layered winter clothes. 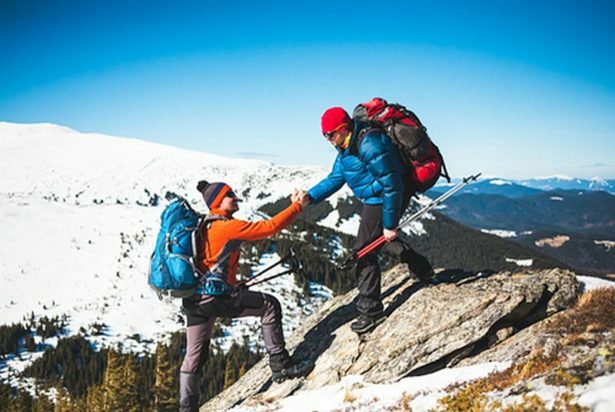 The best destinations for this sport are Colorado, Wisconsin and Alaska, where the ice people climb is so strong that an ice ax needs only a centimeter of purchase to hold the weight of adult male. If you're a gearhead who also enjoys the great outdoors, why not combine your two passions: automotive vehicles and the road less traveled? Experiencing some off-road adventures with your truck or Jeep may sound awesome, but keep in mind this is an expensive sport that can damage your vehicle, no matter its ruggedness. To be prepared, you'll need the right vehicle and equipment, including a set of must-have off-road tires, as well as extra gasoline, a fire extinguisher, high lift jack and rope rated for vehicle weight. No matter where you adventure, it's always safer with friends who can ride shotgun or bring their own vehicles that will make it to parts unknown. Still in its infancy, bikepacking continues to see many road cyclists and backpackers trade in their lightweight bicycles and backpacks, respectively, for gnarly mountain bikes. Traveling deep into the backcountry, climbing mountains, camping under the stars. This is what bikepacking is all about. Of course, you'll need a hefty framed bicycle built for wear and tear. While many bikepackers use front suspension bikes, others favor a rigid frame that creates more of a rocky ride. Full suspension bikes are used less commonly as they aren't as efficient at steep climbs. The typical bags bikepackers use consist of a large seat bag, handlebar bag, frame bag and a daypack. You'll also need plenty of water bottles, and if you plan on an overnight adventure, a tent, camp stove and provisions are a necessity. And while it's always safer to bikepack with a friend, solo trips tend to be undertaken by veterans of this sport. If you go it alone, however, make sure you alert people of your whereabouts and for how long. Whether you're a climber who wants a new challenge, a rugged truck owner who wants a test or a cyclist who needs a new adventure, these extreme sports will certainly not disappoint. However, like with any sport, these activities are dangerous if you are not equipped properly. Ultimately, you'll experience a fun outdoor adventure when you have taken the proper precautions and safeguard for each of these adventurous undertakings.